We’re inviting carnitas connoisseurs to ¡Feel the Mexcellence!℠ and enjoy a mouthwatering variation of a regional favorite—with an El Pollo Loco twist! Headquartered in Costa Mesa, California, El Pollo Loco, Inc. currently operates nearly 400 restaurants located primarily in California, with additional restaurants in Arizona, Connecticut, Illinois, Nevada, Oregon, Texas and Utah. El Pollo Loco’s menu features its signature citrus-marinated, flame-grilled chicken in individual and family-sized meals served with warm tortillas, freshly prepared salsas and an assortment of sides. El Pollo Loco also serves a variety of Mexican-inspired entrees featuring the chain’s citrus-marinated, flame-grilled chicken, including Pollo Bowl® entrees, grilled chicken salads, grilled burritos, tacos and more. 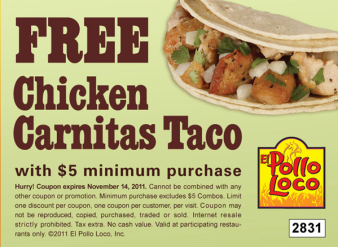 For more information, visit www.elpolloloco.com. How and when did you first get the concept for the truck? We were traveling in Mexico for the better part of last year and no matter how many delicious acclaimed Mexican restaurants we ate at (and enjoyed) we always found ourselves coming back to street food. 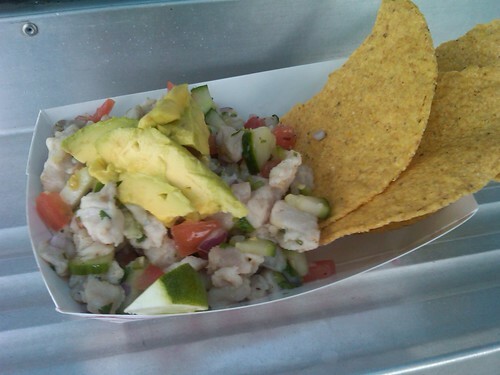 It didn't matter if it was a stand selling tacos, mariscos or tortas, there was something very true about them all. It wasn't fancy or a "reinvention of the wheel" but it was damn good. Real food for real people made with generations of care. You could taste it and you could feel it. That's what inspired us to get back to basics, bring some delicious food to the streets of Orange County and serve it up with a little love. To this day the compliments that stick in our minds the most are the ones that revolve around home, people saying that eating our food reminds them of their childhood or makes them remember their mothers, grandfathers, sisters, etc. As a cook there is nothing better than that. How long from conception to reality? The hardest part for us was finding a truck that suited our needs. We take pride in buying fresh and cooking everything from scratch, that requires a certain type of kitchen. 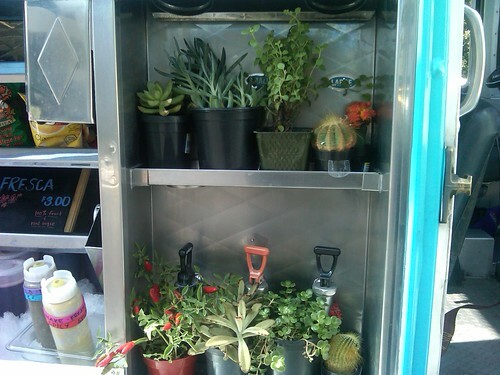 Have you been successful finding local, organic, sustainable food on your truck? We do our best to source locally; I would say this is our number one priority. We are hoping that the trend catches on and it becomes easier for everyone to do so. We love working at Farmers Markets, its great to be able to walk a few feet off our truck and pick up some amazing ingredients. It's even better to be able to talk to the people who had a hand in growing it. That's the culture behind food that inspires us to cook. Any story behind the name Tamarindo? We love Tamarindo, plain and simple. When we are in Mexico we buy it raw, peel it and eat it. My mouth is watering now talking about it. I don't know who came up with the saying “raisins are natures candy”… they obviously never encountered tamarindo. The natural combination of sweet and sour is just delicious and doesn't require any altering. Look out for Tamarindo shrimp in the upcoming weeks, we know its gonna be a hit! Are tamales working for you? Everyone is really enjoying the tamales. We wish we could keep up with the demand but as you know, they go quick and are incredibly time consuming to make from scratch. We are going to be selling them in bulk for the holiday season. 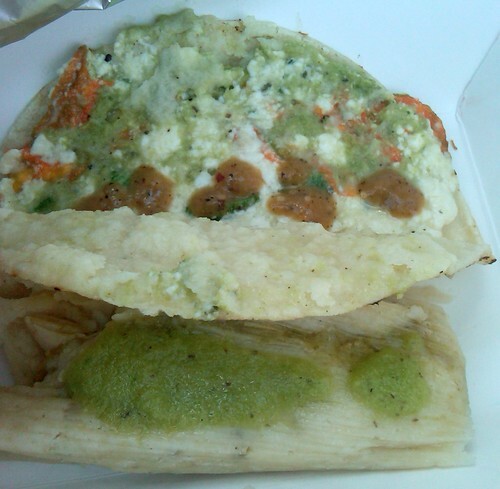 Tamales are very traditional in Mexico around Christmas and Posadas. We hope they bring something special to those who might not be able make it home this season. For years there were Mexican lunch trucks and not much else in the way of other food trucks. When the gourmet food truck craze started the only way you could find Mexican food was if it was fused with another cuisine. But your truck is straight up Mexican while bordering on gourmet. Are people grasping this concept? The only thing we are concerned about people grasping is that we are passionate about cooking fresh and delicious food. Food can evoke so many feelings and it's our hope that our food does that for people. The word gourmet has gotten a lot of hype lately and it's hard to grasp. 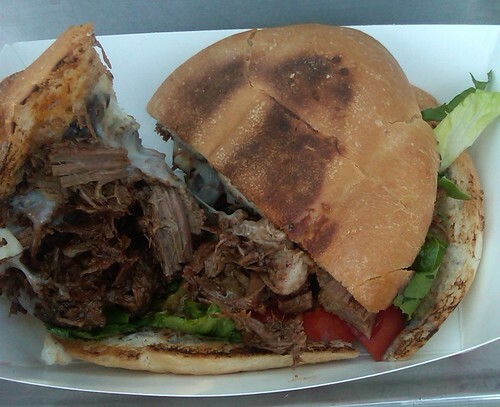 We use fresh products, clean flavors and cook everything you are eating from our little truck. It's what we are passionate about, eating real food from the earth with as little processing as possible. 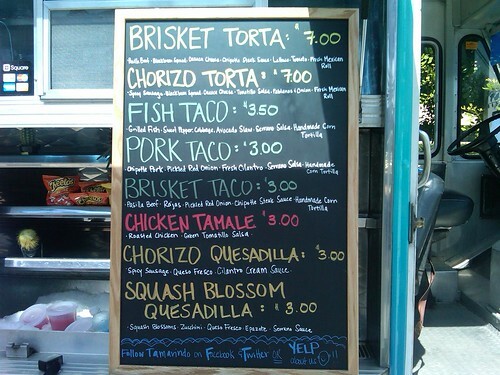 If that makes us a gourmet food truck, lunch truck or anything else for that matter, we will take it. 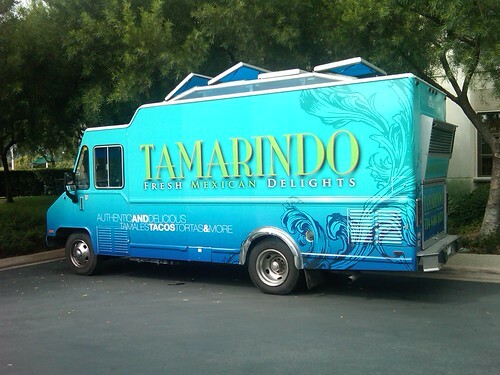 Mexican food really can push the envelope and make you think, “Hmmm, what is that flavor I am tasting?” We choose to use traditional, fresh and at times deliciously simple touches to evoke that in the Tamarindo Truck experience. That's what we want people to grasp and we definitely think our customers are. Will there be any dessert items? We will have dessert items in the very near future. We want to carry our theme of clean and authentic flavor profiles throughout our desserts, highlighting freshness of course. Some of our favorites include churros with a tamarindo caramel dipping sauce and delicious fruit popsicles just like all the ones you can find all over the streets of Mexico. We are partial to flan and buñuelos as well… But who isn't! Guests to choose the winner of Chef Deborah Schneider’s dueling tacos! 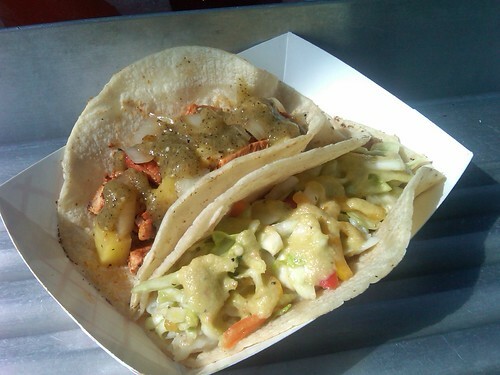 NEWPORT BEACH, October 2011 – In conjunction with National Taco Day on Tuesday, October 4th, two of SOL Cocina’s latest signature tacos -- Grilled Taco “Al Pastor” and Crispy Crab 'Tinga Taco – will go head-to-head in competition to be named SOL National Taco Day Champion. Guests will have the opportunity to cast their votes at the restaurant during lunch and dinner hours (11:30 a.m. to 10 p.m.). There is no purchase necessary to participate in voting, and after final votes are tallied and a taco champion has been determined 10 guests will be selected at random from the winning submissions. Each of the 10 lucky individuals will receive a complimentary SOL House Margarita. 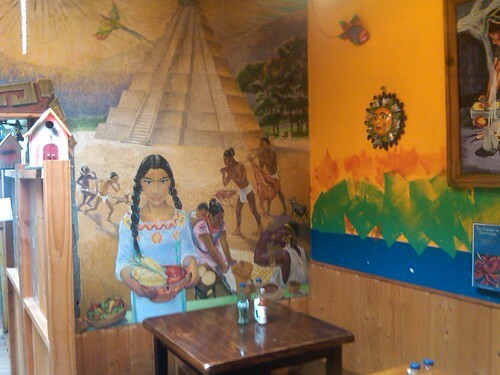 Read OC Mex Food's coverage of Sol Cocina. 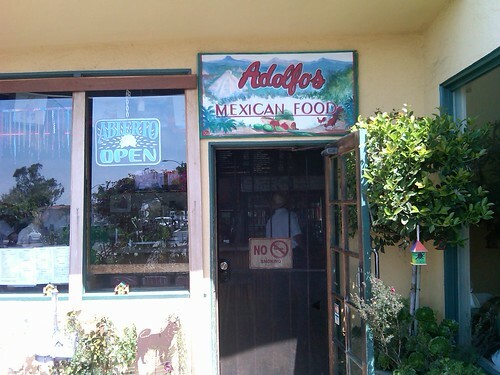 (Lake Forest, CA) Oct. 3, 2011 – Del Taco restaurants across the country are putting a spin on one of Germany’s most famous events – Oktoberfest. 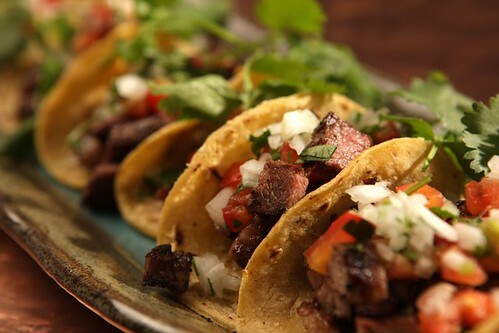 Beginning on National Taco Day – October 4th and lasting until October 31st, Del Taco will offer taco specials all day, every day for a month-long “celebration worthy of tacos” called Tacoberfest. 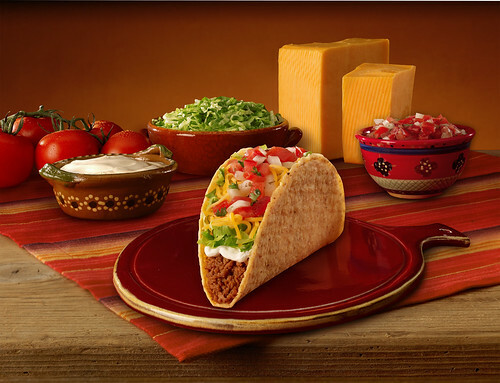 At the center of Del Taco’s Tacoberfest is the Taco Deluxe with five layers of fresh flavor including seasoned beef, freshly grated cheddar cheese, crisp lettuce, sour cream and pico de gallo. 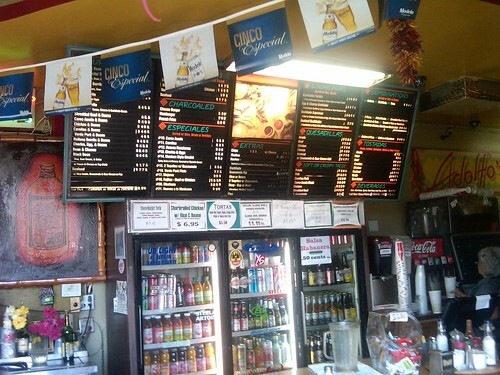 Combining great taste and big value, Taco Deluxe delivers the best tasting taco for under a dollar. For Tacoberfest, Del Taco restaurants will feature the Taco Deluxe for 89-cents, along with other great values like two Crispy Fish Tacos for $3, two Big Fat Crispy Chicken Tacos for $4, and two Big Fat Grilled Chicken or Steak Tacos for $4. Consumers can “like” Del Taco and receive a coupon for a free Taco Deluxe with any purchase on Del Taco’s Facebook fan page – http://www.facebook.com/deltaco. 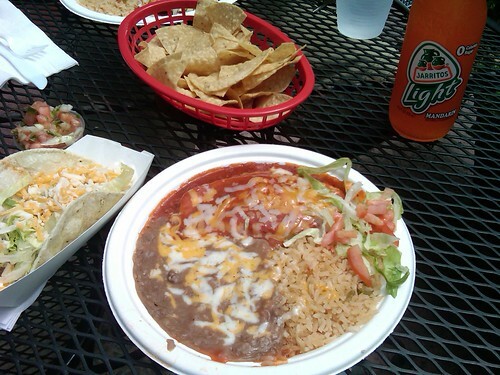 Read OC Mex Food's coverage of Del Taco.